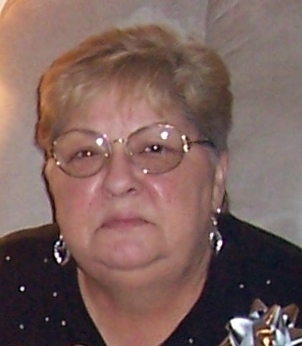 Frances “Frankie” Gilbert, 73, of Texas City, passed away, Thursday, January 23, 2014, at her residence. Frankie was born January 12, 1941, to David and Tilda Nichols, in Hughes Springs, Texas. Frankie is preceded in death by her parents, brother and sister-in-law Bruce and Betty Nichols, another sister-in-law Betty Nichols, and grandson Jacob Patrick Moon. 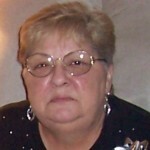 Frankie is survived by her husband Rex Gilbert; four daughters: Melissa Gilbert, Rexann Gilbert Manion and husband Bill, Susan Gilbert, and Gloria Gilbert Burleigh; one son: Tim Gilbert and wife Amanda; one brother Darrell Nichols and wife Judy; six grandchildren: Tabitha Gilbert, Brittany Burleigh, Casey Burleigh, Andrew Gilbert, Cody Gilbert, and Hannah Gilbert; two great grandchildren: Rex Avery Gilbert and Sofie Jane Burleigh; special aunt Von Hightower and Cousin Carol Adams; and numerous other family members and friends. A visitation will be held from 5:00 p.m. to 8:00 p.m. Monday, January 27, 2014, at James Crowder Funeral Home, La Marque. A funeral service will be held at 10:00 a.m. Tuesday, January 28, 2014, at the funeral home, with Rev. David Nichols officiating. Interment will follow at Galveston Memorial Park, in Hitchcock, Texas.